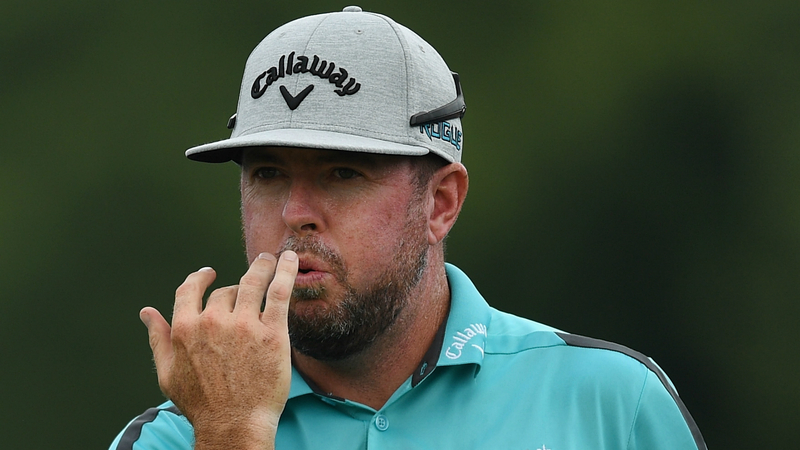 Robert Garrigus earned a one-stroke lead before dangerous weather forced the first round of the RBC Canadian Open to be suspended. Garrigus was flawless, the American golfer carding a bogey-free 9-under 63 at Glen Abbey Golf Course in Oakville, Ontario on Thursday. Without a win since his maiden PGA Tour title in 2010, Garrigus made nine birdies – including five in a row from the second hole – while he enjoyed a lucky break when a rock saved his ball from the water on the par-five 13th. Garrigus — who teed off in the morning — was fortunate to avoid the bad weather, which forced a delay of more than two hours, before play was stopped for the day at 8:04 p.m. local time. It is the 14th tournament of the 2017-18 season to be suspended or delayed, with the opening round set to resume at 7 a.m. on Friday. Adam Schenk posted a 64 to be Garrigus’ nearest challenger, while Chris Stroud is a stroke further back heading into round two. Ian Poulter ended the day tied at 6 under alongside Ben Crane, Hudson Swafford, An Byeong-hun and Kevin Tway, who was through 15 holes at the time of the suspension. The red-hot Tommy Fleetwood finished with a flourish to be four shots off the pace with three holes to play. Fleetwood, who was in contention at The Open, played his last four holes in 6 under – going eagle-birdie-birdie-eagle. The Englishman became the first player of the season with three eagles in one round. World No. 1 Dustin Johnson, meanwhile, recorded a 4-under 68 after missing the cut at Carnoustie. Johnson struggled to get going in his first nine holes, picking up three bogeys, two birdies and an eagle, but the American star improved following the turn with four birdies and just one dropped shot. Sergio Garcia is also 4 under, while U.S. Open champion Brooks Koepka was 4 over through 16 holes.